Greer Hennessy needs palm trees. Between an ambitious director and his entourage-including a spoiled 'It Boy' lead actor-who parachute into town, a conniving local ex-socialite, and a cast of local fangirls and opportunists who catch the movie bug, nothing is going to be the same in Cypress Key. Now Greer is forced to make some hard choices: about the people and the town she's come to care about, and about her own life. True love is only for the movies, right? Can Greer find a way to be the heroine in her own life story? 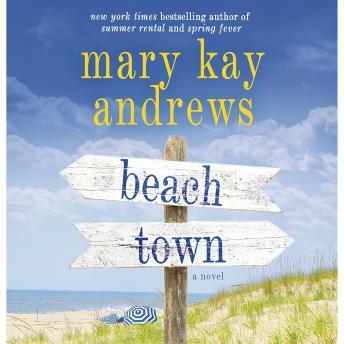 Told with inimitable heart and humor, Mary Kay Andrews' Beach Town is the perfect summer destination. Enjoyed it. If only real life romances were this easy. Very shallow plot. Boring and very drawn out. I do not recommend this book, but I've not read any other by the author. Others may be better. Enjoyable read, really liked the main characters!it was really nice to listen to just what I wanted!